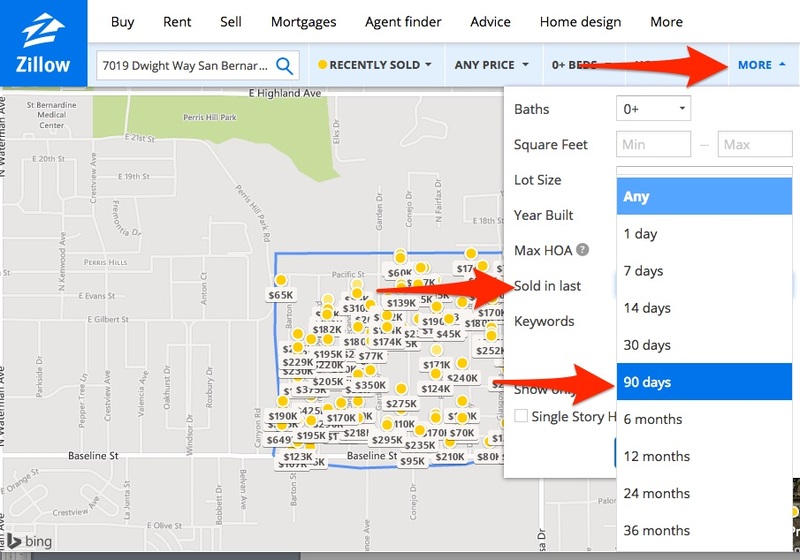 Comps are properties close to a potential flip that are similar to the flip using a specific set of criteria. Due to distance, it can be difficult for the remote investor to evaluate comparables. 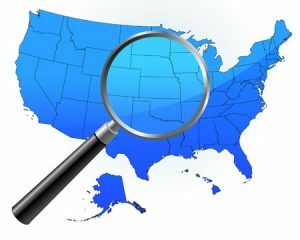 A savvy technical toolbox can help to level the playing field when evaluating “the lay of the land.” Additionally, solid data will guide in making good decisions about whether to pass on a flip or go for it. 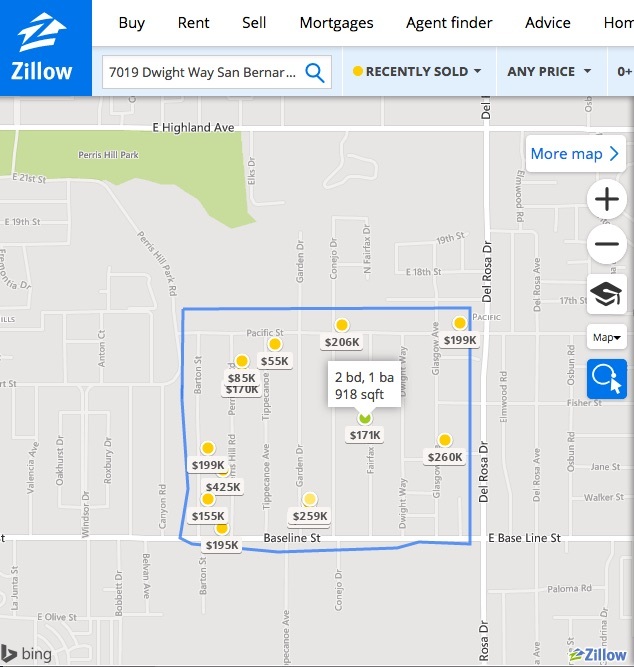 Today we’re going to walk you through running comps, using an investor’s special as an example, in the Zillow.com website. 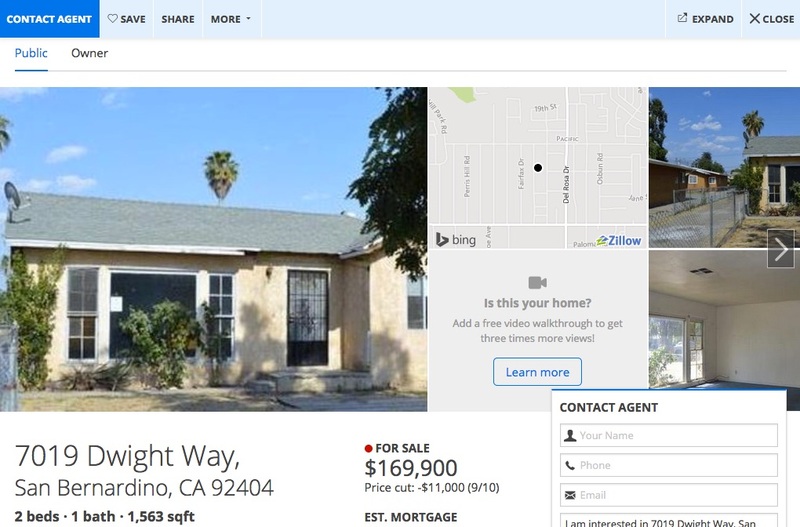 First, however, let’s talk about whether Zillow should be in your toolbox. 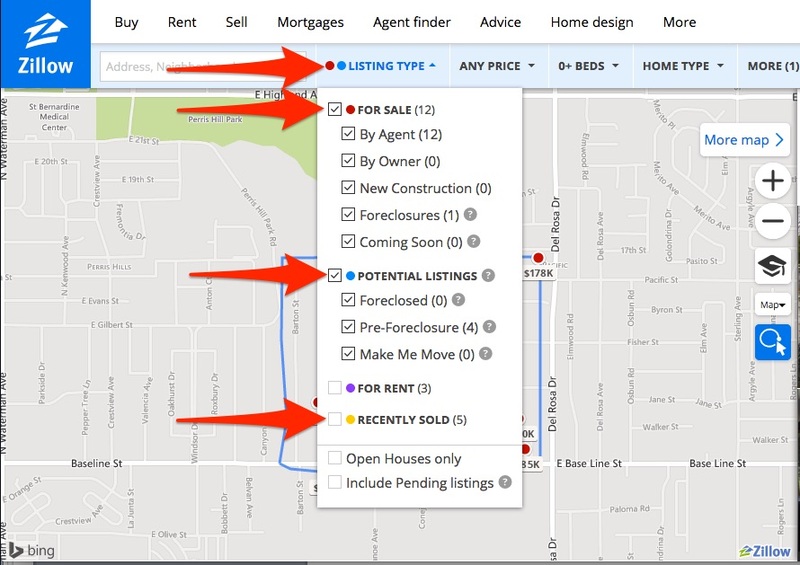 Is Zillow Good for Running Comps? To summarize, Zillow gives a very good birds-eye view of the property statistics that you can build on with other, more reliable sources. That said, let’s go through finding comps on Zillow from beginning to end. 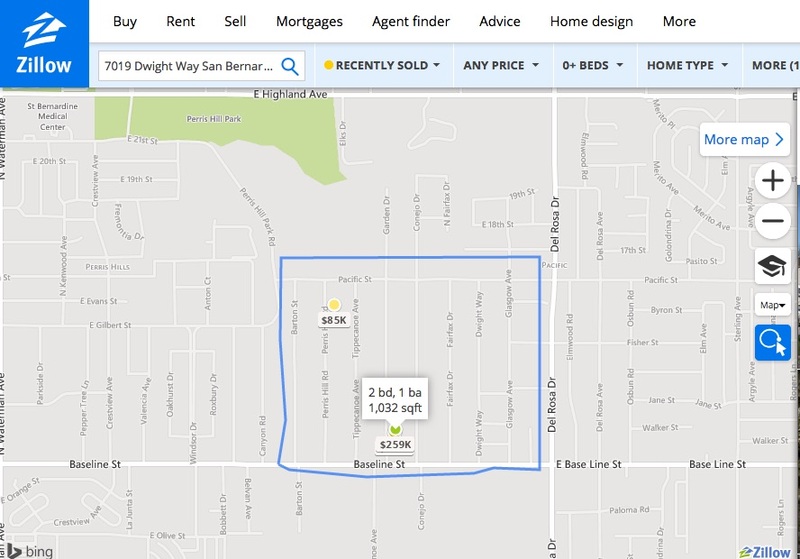 This property that we want to find at least three comps for is located at 7019 Dwight Way, San Bernardino CA 92404. 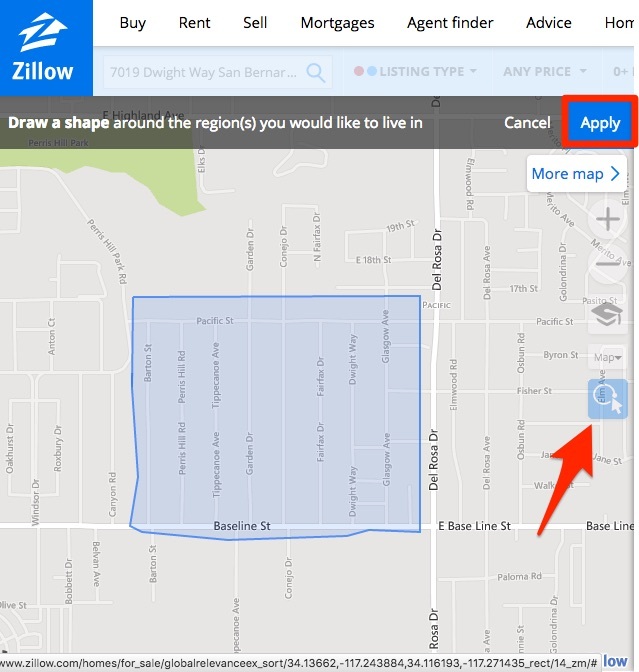 The first thing you notice is that Zillow brings up the subject property information. Note that it’s a 2 bed, 1 bath, with 1563 square feet. We’re just going to close that popup for right now. Keeping an eye on the green dot that indicates the property, we’re going to zoom into that area a few times to get a closer look. Do this by clicking on the plus sign icon. To make viewing easier, we’re going to draw a box around the subject area using the lasso tool. With the lasso tool you want to draw a rough shape around the area going a little outside of the street margins to capture all the properties and then click ‘Apply’. 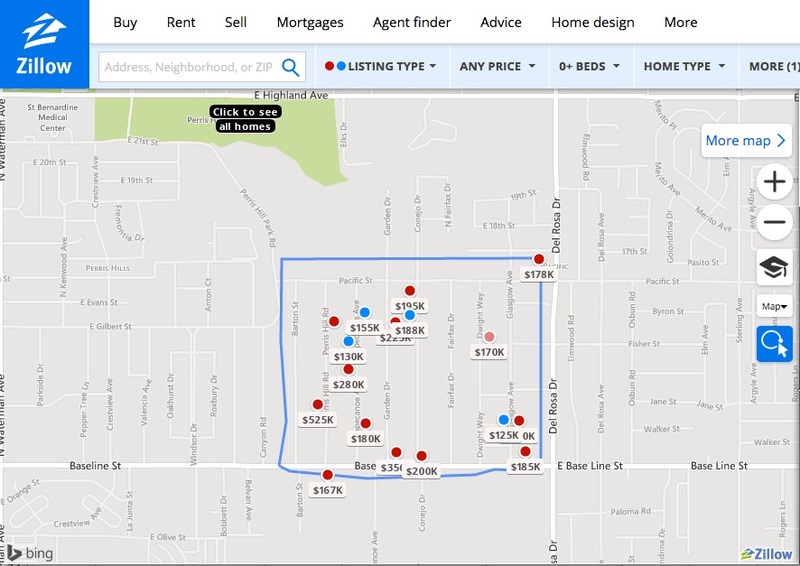 The listings that Zillow first shows when you search for a property are ones that are active For Sale, indicated by red dots, and Potential, foreclosures or auctions, indicated by blue dots. While you can keep in mind what active listings are priced, they are by no means indicative of what the subject will sell for after rehab. For ARV we always rely on properties that have already sold, and the more recently they sold, the better. We start our search with exact criteria and then widen it if we don’t find many sold properties that are similar to the subject. The 100 sold properties that appear now are your comps, but we still haven’t set a time frame of the sold-within dates. Three months is ideal when you start your search. If you don’t find any or few, then you broaden that search to six or even twelve months. All of this depends on how cold the market is. This brings up three results with only one having dimensions similar to our subject property, a 2 bed and 1 bath with 1032 square feet. You can view these stats when you hover over the property dot with your mouse. We’ll repeat the process to broaden the search to six months by selecting ‘6 Months’ from the ‘More’ drop-down menu. Now we get 10 more properties in addition to the three we just found. What is a Good Comp? be of similar construction on the exterior. In this case, we have studios with no beds and baths indicated, apartments in complexes, or one side of a duplex, as well as a half acre lot, and those we ignore. We also ignore properties that clearly were sold as tear-downs, as-is, rehabs, or in need of TLC as in the case of the 55k property on Tippecanoe. What becomes clear right away is that our comps have considerably less square footage than our subject property. The comp with the largest square footage at 1073 sold for 199k, however it does have an extra bedroom. For this comps selection overview we haven’t looked at the features beyond the beds, baths and square footage. Finding good comps is part experience, part research, and part knowing your market. Since knowing the market is a challenge when flipping remotely, try to focus on what is within your control. Continue to build on your experiences, and expand your toolkit by learning different techniques to find the information you need that will help you make a good decision on whether to flip or pass. Interested in the next step? In this post we run comps on an actual potential deal with details, and work out the ARV to see if the numbers work.